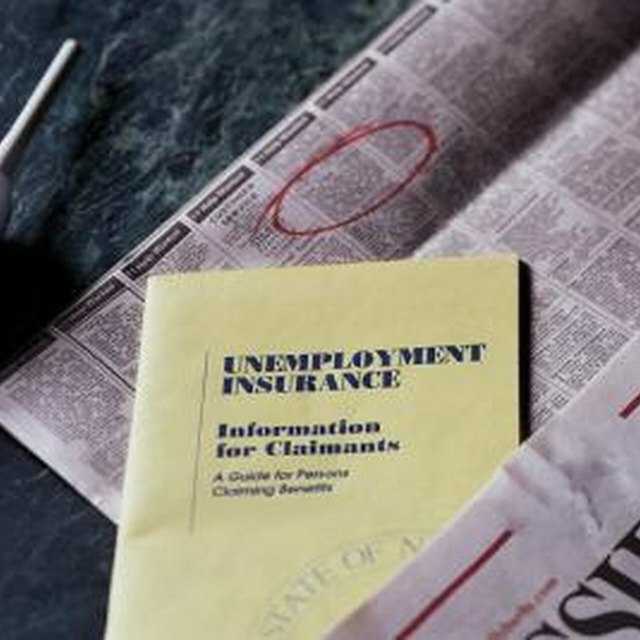 The level of unemployment benefits a worker is eligible to receive depends largely on that employee’s gross wages during the eligibility period. For a worker, a gross wage is simply everything earned during the period before the removal of taxes or any special payments. Because an eligibility period may extend more than a year into the past, determining the gross wages can mean tracking payments made from multiple sources. Because of this, some basic calculation is required to figure out the wage amount used as a base for the benefit level. In order to calculate gross wages for unemployment benefits, you will first need to gather your pay stubs and take note of all deductions that have occurred. You should plan on covering a full year of pay stubs. Before you can get started, you'll need some basic information. First, check your state's unemployment website to find out how your gross pay is calculated. In most states, your weekly benefit amount, or WBA, is calculated using your gross income for the past year, isolating each pay period by quarters. In Washington State, the unemployment office has you disregard the most recent quarter. So if you're filing your claim between July 1st and September 30th, you'll need to pull paystubs for April 1st of the previous year through March 31t of this year, since the April 1st through June 30th pay period is disregarded. Once you've gathered your paystubs, check for a notation of gross pay. If your paystubs list only net pay, you'll simply need to do an additional calculation. Net pay is the amount of money you take home each payday. You'll also notice deductions taken from net pay such as state and federal taxes, social security and insurance costs. Write down these amounts. Add the deductions to your net pay to calculate the gross pay for the pay period. Repeat the process for each month during the last complete four calendar quarters. Each calendar quarter is three months, with the first quarter of the year beginning in January. If your income was from more than one source, repeat the gross pay calculation for each and add all income sources together for the month. Add the pay for each month in the last four completed quarters to calculate the gross wages used to determine the level of your unemployment benefits. It's important to note that many states have a cap on how much unemployment they'll pay out to each worker. This will likely only be an issue if you're a high wage earner. In some states, you'll also get a small credit for having at least one dependent. This is usually a small weekly amount, but it will influence the total you can expect to see when you start receiving payments.